Fortis Healthcare Ltd has selected a consortium of Hero Enterprise Investment Office and the Burman Family Office as the winner of a takeover battle that also involved two foreign bidders and two local hospital chains backed by private equity giants. India's second-largest hospital chain said in a statement late Thursday that its board selected the offer made by the Munjal-Burman combine after considering the recommendations of an advisory committee it had set up last month to evaluate binding proposals. 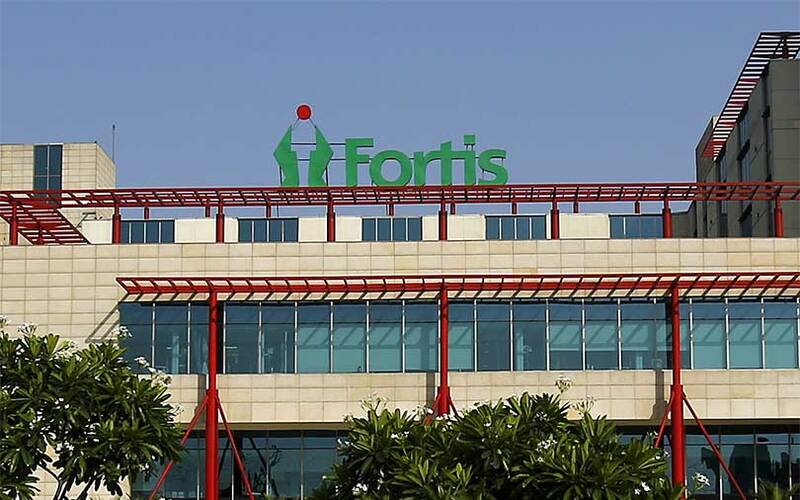 Fortis said the board also considered the recommendations of financial advisers Standard Chartered Bank and Arpwood Capital as well as legal adviser Cyril Amarchand Mangaldas. The board decision will be placed before the shareholders for approval, Fortis said. The decision doesn't appear to have gone down well with the public shareholders of Fortis, considering the stock market's reactions. Shares of Fortis fell as much as 5% on the National Stock Exchange before closing 2.2% down at Rs 149.50 apiece. The Munjal-Burman combine had offered to make an upfront equity infusion of Rs 800 crore in Fortis at Rs 167 per share through a preferential allotment and another Rs 1,000 crore through a preferential issue of warrants at Rs 176 apiece, the statement said. The consortium will make a quarter of the infusion through the warrants upfront. The warrants will be convertible within a period of 18 months from the date of allotment. The Rs 176 per-warrant offer was the highest among the five bidders. Hero Enterprise is led by chairman Sunil Munjal, part of the family that runs Hero MotoCorp Ltd, India’s biggest two-wheeler maker. The Burman family is the promoter of consumer goods maker Dabur India Ltd.
Fortis had been looking for buyers for more than a year but legal cases against its founders, brothers Malvinder Singh and Shivinder Singh, deterred potential investors. However, suitors began eyeing Fortis when the siblings lost control of the company in early March after lenders seized the shares they had pledged to take on loans. In late March, Fortis agreed to sell its hospital business to Manipal Hospital Enterprises Pvt. Ltd, which was backed by private equity investor TPG Capital. But the decision led to an outcry from some minority shareholders on concerns the TPG-Manipal offer undervalued Fortis. This opened the door for other suitors to bid for the company. Subsequently, Malaysia's IHH Healthcare, a consortium of Sunil Munjal-led Hero Enterprise Investment Office and the Burman Family Office, China's Fosun and KKR-backed Radiant Life Care Pvt. Ltd offered to invest in Fortis. All but Fosun made binding offers when the Fortis board decided to consider only binding proposals and set up the advisory panel, led by Deepak Kapoor, a former chairman and CEO of consultancy firm Price Waterhouse Coopers, India. The panel also included Lalit Bhasin, chairman of the Indian Society of Law Firms. As the bidding war intensified, TPG-Manipal, IHH Healthcare, Munjal-Burman and Radiant Life revised their offers by one or more times. The Munjal-Burman combine had initially proposed an investment of Rs 1,250 crore in Fortis and then raised the amount to Rs 1,500 crore in its second offer. It last revised its offer on 1 May, proposing to invest Rs 1,800 crore. It is this offer that the board has approved. As per this offer, the Munjal-Burman combine had sought three board seats in Fortis. It had also proposed to sell Fortis' diagnostics unit, SRL Ltd, via an auction. The money to be received from the sale of SRL could be used to part-finance Fortis' planned acquisition of Singapore-listed RHT Health Trust, which owns some Fortis hospitals, according to the offer. While the board has made up its mind for now, a rival offer still can't be ruled out completely. It is possible that one or more bidders might make an open offer to public shareholders of Fortis at a price higher than the Munjal-Burman bid. China's Fosun has shown no such inclination; it hadn't even submitted a binding offer. Manipal chairman Ranjan Pai had recently indicated that its most recent bid was "more risky". KKR-backed Radiant is a relatively small hospital chain. Malaysia's IHH, however, has been keen to expand in India and also has the financial and operational strength to go the distance. Manipal Health Enterprise Pvt Ltd.